Lettuce is great because it grows quickly, and you can harvest the outside leaves while it’s growing. It does best with cooler temperatures, and can tolerate shade. Unlike some vegetables, everyone knows how to eat lettuce. Once they emerge from the soil and develop four true leaves, not much bothers bush beans. They don’t tolerate freezing temperatures, and will mature mid-summer. These are delicious raw (with Ranch dip!) or steamed (with butter). Basil grows quickly and easily, and harvesting leaves and/or pinching off the ends actually promotes more growth! It is the easiest herb to grow, and unlike Thyme and Rosemary, I find lots of uses for it while cooking. Growing onions for storage can be full of misadventures, but it’s almost impossible to mess up green onions. 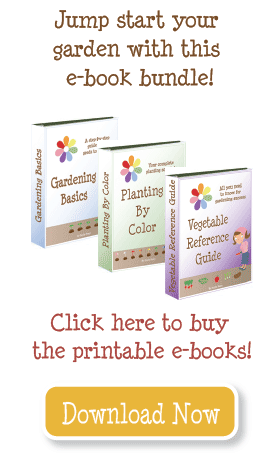 Plant sets or transplants (not seeds) purchased at a local nursery or home and garden store. They can tolerate cool weather, but will continue to grow during warmer temperatures. Green onions are great in salads, stir fry, soups, and more! In my opinion, there is nothing better than fresh peas! The snap and snow varieties allow you to eat the shell, so you get more bang for your buck. Plant these early, as soon as you can work the soil. It’s best if they have a trellis for support. Again, peas are great in soups and stir fry, in salads or with dip. Let’s face it, zucchini grows like a weed. I think one plant is more than enough for a family of four. The problem with zucchini is not growing it–it is the most fool-proof of all vegetables. The real challenge is finding enough recipes to eat it all! Try zucchini quiche, Ratatouille, brownies, and patties in addition to the standard bread. I put tomatoes toward the end because they are not the easiest to grow, but I consider them an essential element of any garden. Your success is greater if you try growing grape or cherry varieties. Tomatoes cannot tolerate cold temperatures AT ALL, in fact the night time temps must be warm enough or it won’t flower or set fruit. Be careful not to use too much fertilizer, or you’ll have large, leafy plants and no tomatoes! Choose a variety based on how you want to eat them–cherry, slicing, salad, paste. I love them in salads, cooked with basil on pasta, in fresh salsa, YUM! Cucumbers are relatively easy to grow, but they take up a lot of space. You can let them sprawl, and then hunt for your harvest, or trellis them. The secret to cukes is to keep them in full sun, but give the roots some shade. Harvest and use them on sandwiches, salads, or plain with salt or rice vinegar. Last but not least, I include beets. I put it last because, really, who eats beets? However, they are easy to grow and don’t take long between planting and harvest. If one crop fails, you have a chance to try again (and again) before the summer is over. If you don’t love beets for the root, grow them for the greens. They are a great and healthy addition to any salad, and with enough butter, even I can enjoy them lightly steamed. 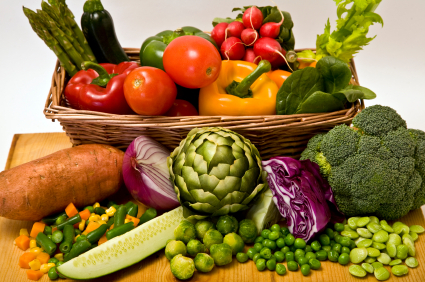 Read more about all the vegetables. Actually, I find that tomatoes the easiest, and may not tolerate cold early, but they are the last to survive and hang on the longest when the weather gets chilly – they did well into October, Early November this past year. After a hard frost, forget it, but you can get them to hang on if you are pro-active in covering them for the first few early light frosts. I am thinking of starting a garden this fall for my husband and I. I want to save on groceries and think I would enjoy the time outside working in it. This site has been the most helpful that I have come across so far in my research! Thank you for your advice and keep the helpful tips coming! Great helpful comments and info from everyone. This is my second year to Square Foot and I certainly hope it warms up soon. I have one 4×6–my son used what wood he had to construct the bed a year or so ago. New ones he made are two 2×12 feet beds to go against my back fence for trellising. I bought rebar and PVC pipe before I knew better, but will have to use it for trellisses this year. Hope they hold up to tomatoes, beans and cantaloupe. Some worthy mentions that you forgot Emily! Peppers – All shapes, sizes, origins and heat levels. Very interesting plants to grow and most will do very well with less but similar care than tomatoes. Cold is the only enemy really and long germination times require patience. Corn – Plant it in good soil and let it grow. Another little trick for square ft. gardening is to use the Native American “Three Sisters” concept. Squash, Beans, and Corn planted together. Corn gives the beans a pole to climb, beans give corn and squash extra nitrogen (Most beans and legumes are “nitrogen fixing”), and squash shades the soil keeping it more evenly moist. My favorite way to eat beets is in my mom’s mac salad. She has a great recipe and the beets add really nice flavor. We eat beets! My daughter and husband love them roasted! I take off the skins, cut them in to large bite size pieces and roast them w/my other root veggies. YUMM! We get a CSA box every week and get beets often. My 4 year old LOVES her veggies!!!!! Either you are giving them too much nitrogen, or they are not getting pollinated. I notice that all my squash are usually buzzing with bees in the morning and evening. Is that true for yours? I have been doing SFG for 7 years and have had wonderful success with it. Strangely though, the only vegetable I’ve had lousy luck with is zucchini! it’s not worms… the plant flowers and flowers and flowers and no fruit. what am I doing wrong? Laura–I agree, garlic is SUPER easy to grow. I’ll have to try the Big Daddy variety. Sounds great! FAbulous post – I’m going to share it with my gardening friends via facebook! Can I add garlic to the list? Stick it in the ground in the fall and pull it up next summer. Too easy. And I’ve been meaning to share this. I started Big Daddy onions this year. They are growing better than my green onions and they store really really well. Give them a try if you want – you won’t be disappointed.